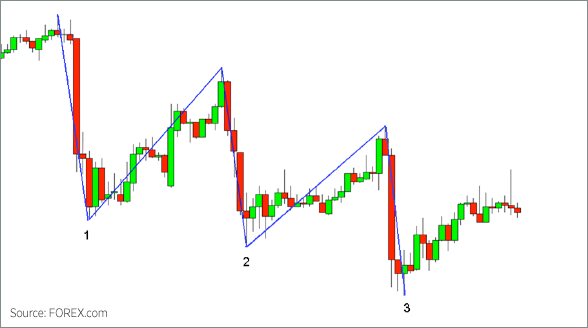 What is the Bullish 3-Drive Pattern? 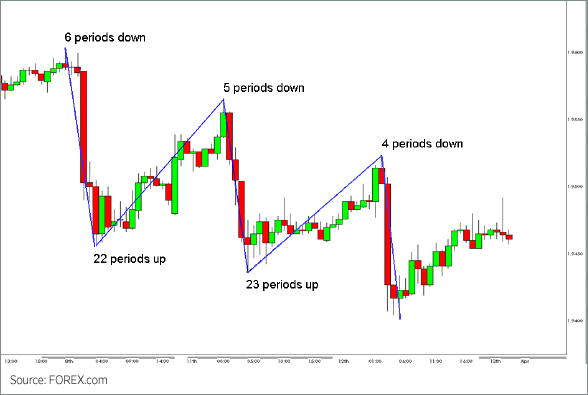 Why is the Bullish 3-Drive Pattern important? include the U.S. Dollar (USD). First, it’s very important to remember not to “force” a 3-drive pattern. Price as well as time symmetry are key, so it’s something that should really stands out as three distinct, symmetrical drives to a bottom. Remember, the 3-drive is a far rarer pattern than a butterfly or Gartley (especially on longer timeframes), and it should be something that jumps out at you. 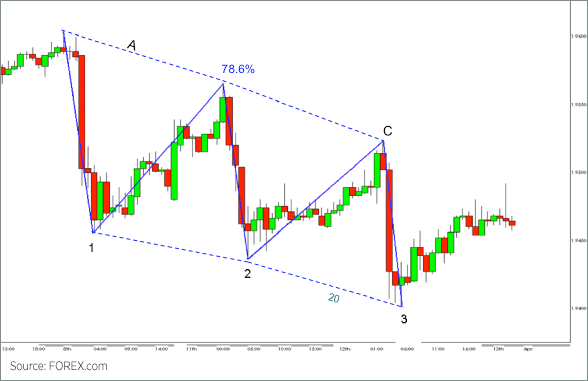 The A and C retracements will typically be 61.8% or 78.6% of the previous drive. In strongly trending markets these retracements may be 38.2% or 50%. A large price gap at anytime may be a sign that the pattern is wrong. Traders should wait for further confirmation that a top is in progress.